During my time doing Interior Design a few years ago I remember being overwhelmed at the budgets I was working with. Or lack of. The amount of money you can spend on interiors is obscene and wonderful all at the same time. However, very quickly I found it quite upsetting that people felt intimidated by interior design or felt that they had to sacrifice quality or the look of a product due to budget. I’ve always been proud of my ability to source a bargain, whether it be second hand or hunting around TK Maxx, my house definitely looks like I’ve spent a lot more than I actually have. Of course there is nothing wrong with blowing the budget or spending money on interiors products but not everybody has that option and so my dears, I will be doing a regular feature of my favourite ‘dupes’. The industrial style isn’t going away anytime soon, and rightly so, there are some gorgeous pieces about which bring personality and warmth to any room. The only problem with popular styles is the inevitable price tags that follow. 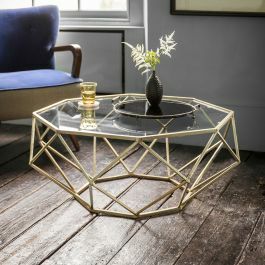 This almost identical coffee table from Argos (!) is a great replica of the equally gorgeous West Elm table. What I love about the Argos version though is that you could completely customise it by replacing the handles with your own choice, so it would be totally bespoke! I can’t even deal with the bargains you can find on eBay. 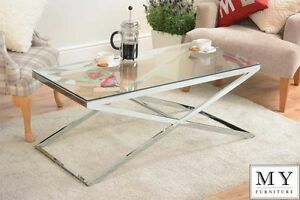 This gorgeously simple, chrome and glass table will look stunning in any home. If you have a smaller room I would always recommend avoiding solid coffee tables, as they can take over the room. This is just enough detail to be a feature while reflecting light and creating the illusion of space. If you’ve never checked out Atkin and Thyme – do it. Now. Well, not right now, finish reading this and then go check it out. So many beautiful things. While this is on the pricier side it is still a heck of a lot cheaper than the stunning Canora alternative from which it takes inspiration. In fact the saving you make could buy you a pretty decent week in the sun! I think you’ll agree that either one would be an amazing addition to your living room, but if I have the choice between a coffee table, and a coffee table plus a holiday, it’s kind of a no brainer. 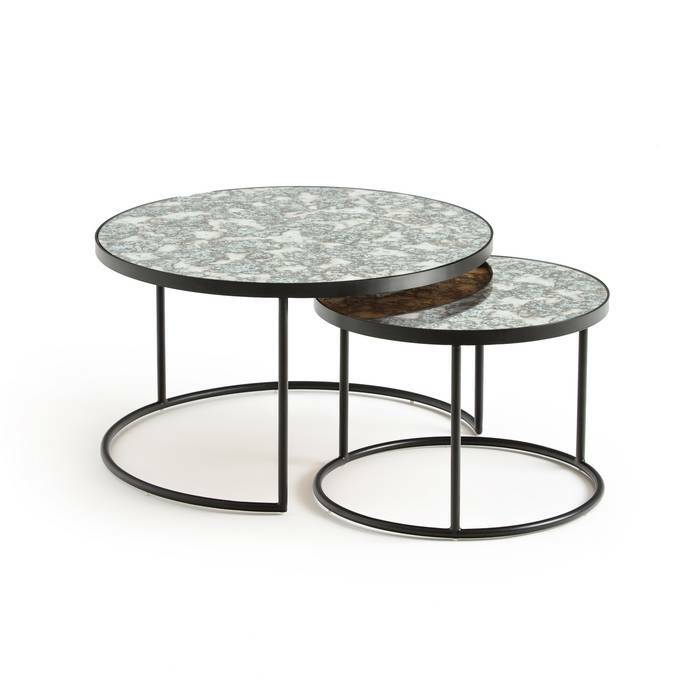 I discovered Notre Monde a few years ago when a client came in holding a copy of Architecutral Digest, pointing at these stunning nest tables and asking me to source them for her. I asked what her budget was, she explained she didn’t have one (sigh) and so I hunted them down. She purchased them immediately and I can see why. 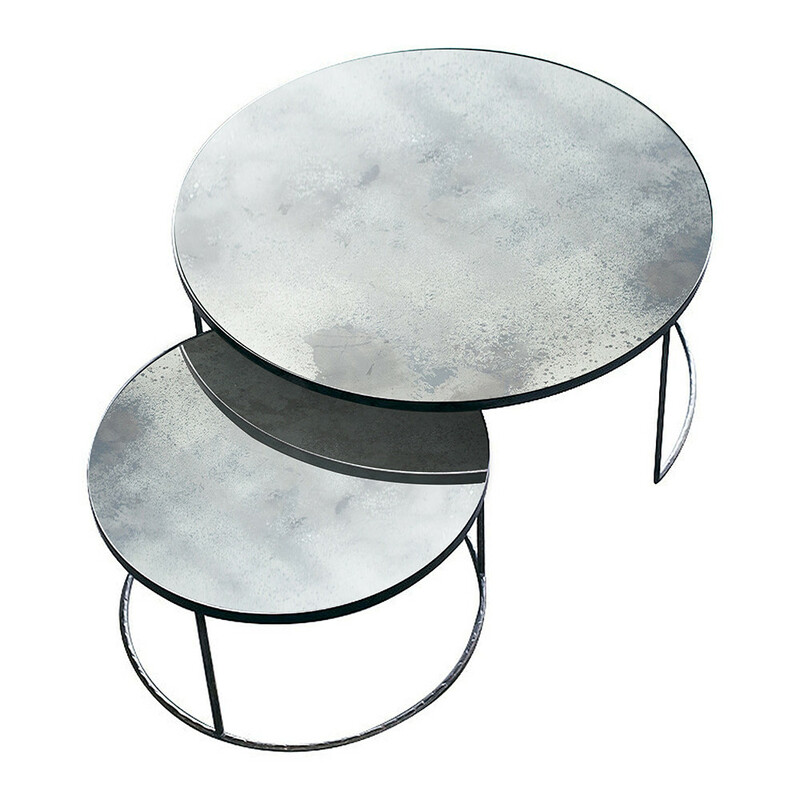 Photos of these tables do not do them justice, and you can buy multiple options depending on your taste. However, if, like me, you absolutely do have a budget to stick to these alternatives from La Redoute are an absolute steal and equally beautiful. Who doesn’t love a bit of marble? In previous years I have ‘hacked’ a Lack coffee table from Ikea and wrapped the top in Marble effect sticky back plastic. It did the job. Until the cat jumped on it with her claws out and scratch through the lining. This Swoon coffee table is so simple, modern and has just enough subtle marble veining to prevent it from taking over a room. It’s classy, it’s stylish and it’s pretty pricey. Proper marble is never going to be cheap but once again my favourite site pulls it out of the bag with this imitation marble coffee table. It may not be genuine marble, but it certainly looks like it. And really, for that price, I’m not sure I care! Blogging my way through life and love with anxiety, renovating our dream home, and planning a wedding all at the same time! Cat lover, interiors obsessed, domestic abuse survivor. Here’s what happened when we bought an Ikea mattress.